A decade after first opening in uptown, Atmosfere launched its second location in Minneapolis’ ever-expanding North Loop district. Set in a garden-level storefront next door to Haus Salon, the new shop has a stripped-down yet stylish look that meshes well with the historic, industrial vibe of the Warehouse District. Owned by Twin Cities retail vet Dan Capetz (a longtime associate at Neiman Marcus and Saks Fifth Avenue and co-founder of menswear store Kuhlman), Atmosfere is managed by his son, Damon. 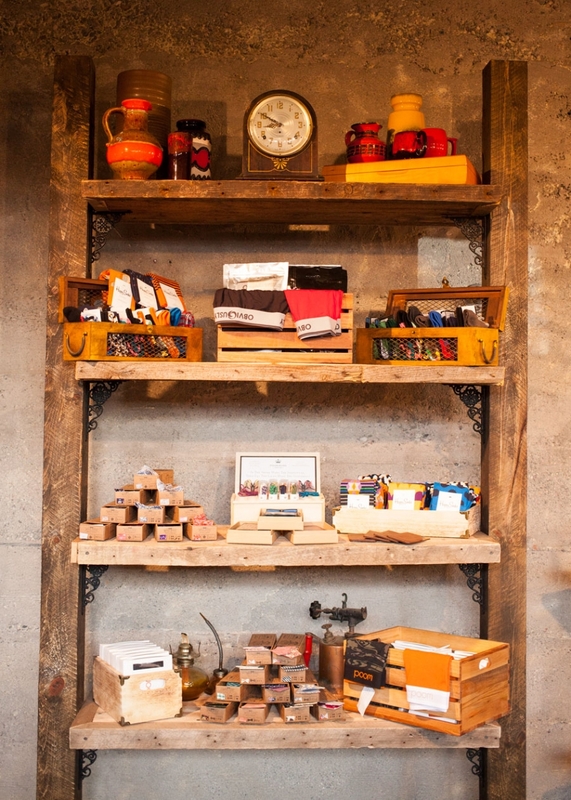 The design of the new store features trendy décor such as reclaimed wood and metal siding salvaged from a barn in Wisconsin and Edison light bulbs. Corrugated metal fitting rooms, rough-hewn wood tables and fixtures, and cement floors and pillars stay true to the space’s history while giving it a modern feel. The main difference between the new store and its Calhoun Square counterpart is the addition of women’s clothing. 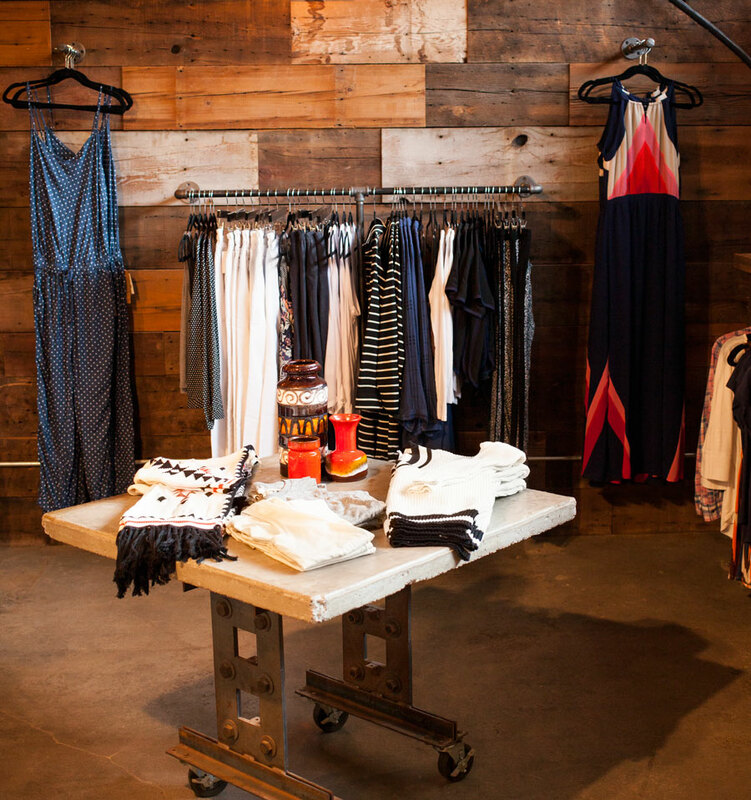 Casual dresses, tops, and denim from contemporary brands such as Greylin, Peppercorn, Alternative Earth, and the sporty-chic Shades of Grey by Micha Cohen make up a little less than half of the store’s offerings. Accordingly, the new shop has a more casual selection than its Calhoun Square location, with less of an emphasis on suiting while still carrying many of the same modern-classic brands popular among Atmosfere’s customers, such as Ben Sherman and Penguin. The new store has also introduced lines from up-and-coming menswear companies including Bruun & Stengade, Tailored Originals, and Neuw Denim—known for its contemporary twist on traditional denim cuts. Another bonus coming soon: an in-house tailoring studio that will do same-day alterations for those who can’t wait to debut their new threads. 730 Washington Ave. N., Mpls.